New biofuel targets coming into force on Sunday (15 April) aim to double the use of renewable fuels in the UK transport sector within 15 years. The Government said the ‘tough’ new rules would cut the sector’s reliance on imported diesel. Changes to the Renewable Transport Fuel Obligation (RTFO) will compel suppliers of 450,000 litres or more of transport fuel a year to make sure the mix is at least 12.4% biofuel by 2032. Currently the industry, which supplies fuel to transport companies such as haulage firms and airlines, is expected to meet a target of 4.75% biofuel. The Government said it is also ‘challenging the sector to reduce greenhouse gas emissions by 6% by 2020’. 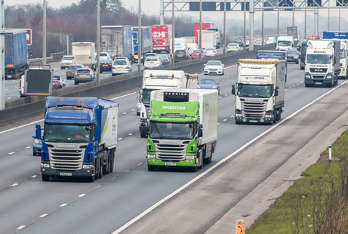 Transport minister Jesse Norman said: ‘The changes we are introducing will double our carbon emissions savings from the RTFO scheme by doubling the use of renewable fuels and reducing reliance on imported fossil diesel. Officials said the changes to the RTFO scheme will also, for the first time, reward and support the production of sustainable renewable aviation fuels in the UK. bringing renewable aviation fuels and renewable fuels of non-biological origin into the scheme.